After years of jet-setting, including 5 continents checked off my bucket list and a semester in college spent traveling around the world by boat, I have learned the art of packing a suitcase. I tend to be a minimalist packer, choosing to pick up many items needed throughout my vacation (the perfect souvenir!). I can now fit everything I need into a carry-on bag for any length of trip! However, there are a few beauty essentials I refuse to leave home without. Today I'm sharing with you 5 beauty upgrades that keep my skincare on point, take up very little space and make traveling a breeze! No matter the destination, whether a tropical vacation or a family wedding, odor protection is absolutely key when traveling. 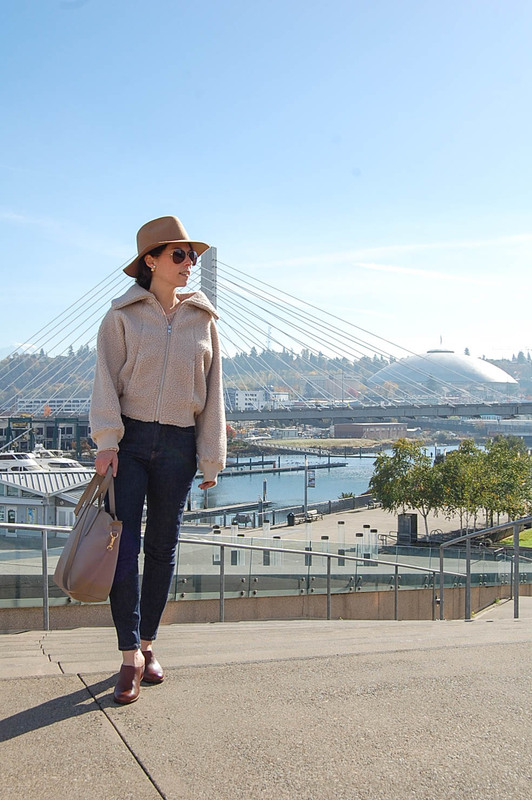 Sometimes I've found myself wearing the same clothes multiple times or without the opportunity for a shower everyday, making odor and wetness protection the highest of priorities when creating my packing list. 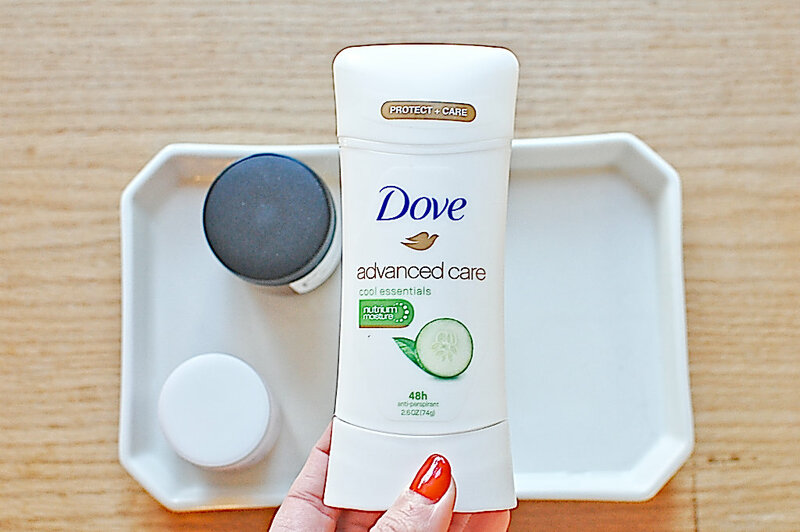 I've recently upgraded from my previous deodorant to Dove Advanced Care Antiperspirant, which offer 48 hours of odor and wetness protection plus added skincare benefits of Dove 1/4 moisturizers and NutriumMoisture for softer, smoother underarms. 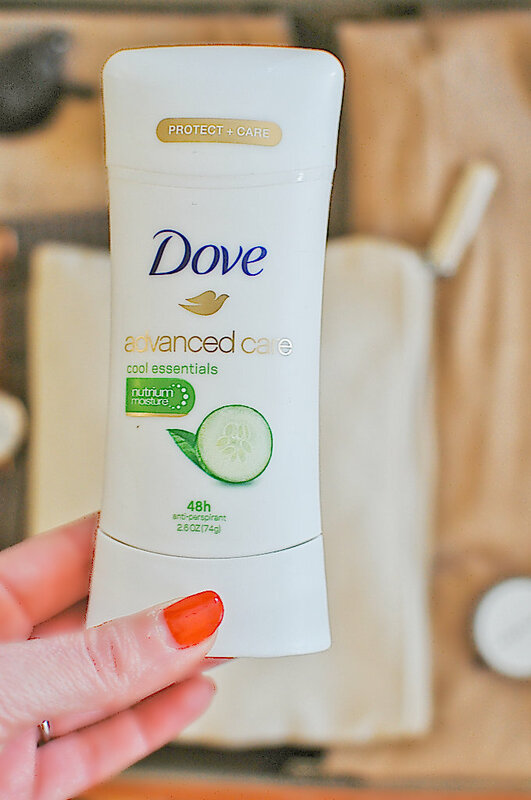 Dove Advanced Care Antiperspirant is an absolute beauty upgrade and packing list addition! 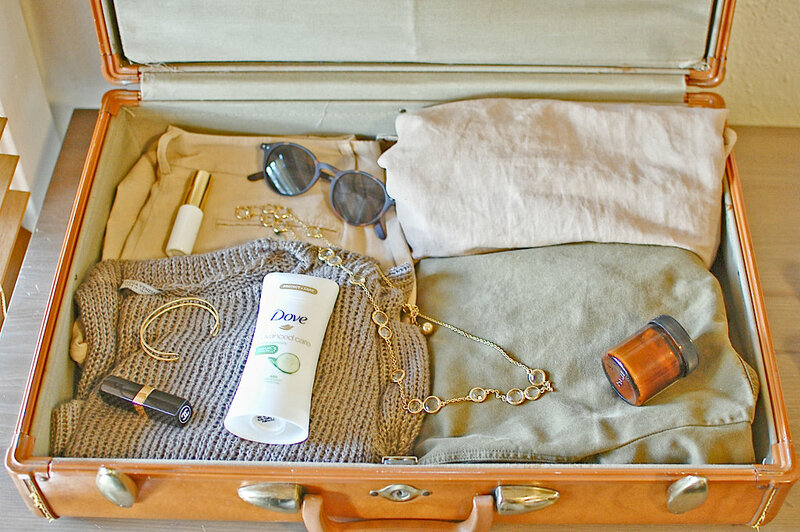 Also essential, no matter the destination's climate, is sun coverage and protection. No burns or cancer here please! I always make sure to pack at least 2 forms of sun protection and than pick up additional items as I travel for souvenirs. Hats, sunglasses, sunscreen and after-sun treatment are all items I consider. Depending on the destination, I might pack a pair of sunglasses and sunscreen and pick up a hat while traveling. Or pack sunglasses and a hat and pick up sunscreen. Some of my favorite sunscreens are only available in Europe, so if I've got a plane ticket there, I'm definitely picking some up, and instead choosing 2 other forms of protection to bring. 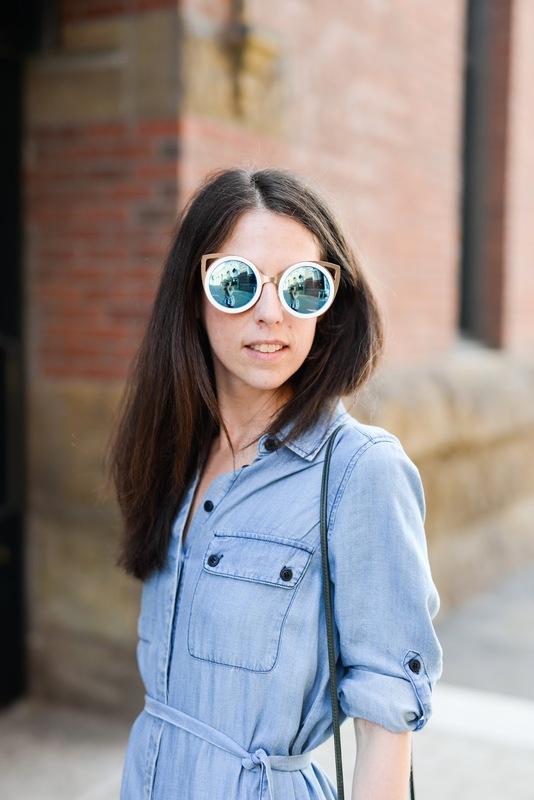 I tend to wear very little makeup when I travel, often just relying on my favorite sunglasses most days. There is just often not enough time when traveling for my daily makeup routine and packing all my makeup takes up way too much precious space in my suitcase. The one item, however, that always gets packed is my favorite lipstick. It's the perfect shade of pink that I can wear along with any outfit for that pop of color for a date night out or a sunset stroll. Sometimes. I'll interchange my lipstick for a lip gloss if I'm headed for a hot climate or even just bring along a tinted lip balm. 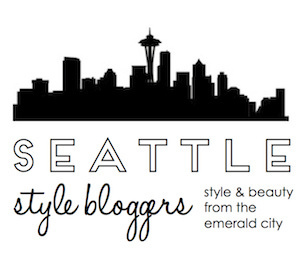 I will not, however, forego skincare while traveling. Little to no makeup is fine, but skincare must continue no matter the time zone. 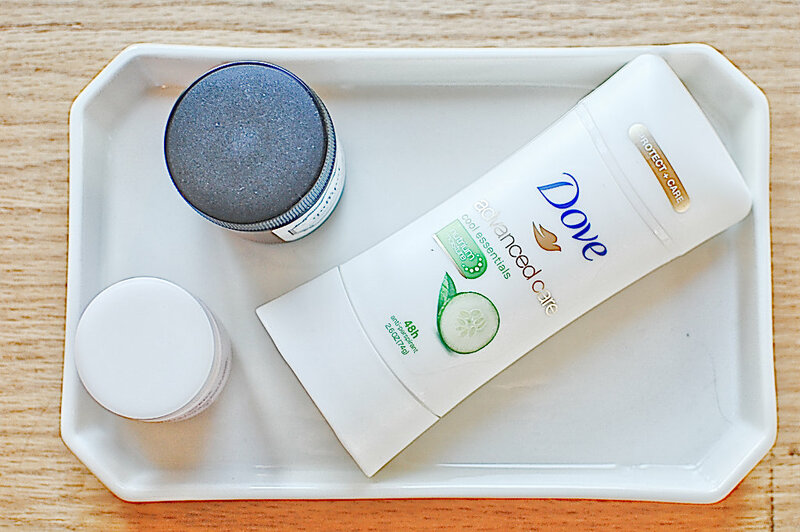 Some fancier hotels will provide luxurious skincare, but I never want to rely on that. I always pack twice the face wipes for the number of days I am traveling, a face moisturizer that fits TSA regulations and 2 paper masks. The wipes and moisturizer are used 2x daily, and the masks for plane flights to and from the destination. A paper mask is so relaxing mid-flight and helps with all that yucky in-flight air. I also LOVE to pick up fun skincare products while traveling, but bring them home and try them first so as to avoid any mid-travel unfortunate reactions. The final beauty upgrade that really makes traveling a breeze is a guaranteed good night's sleep. To achieve ultimate rest in unknown and faraway places while transcending time zones, I always make sure to pack a slumber mask to cover my eyes and ear plugs to drown out noise. The sleep mask and ear plugs are perfect for mid-flight slumber, even when I've found myself in the last row of the plane or seated next to someone chatty. I also like to research hotel rooms I might be staying at beforehand, choosing corner rooms and avoiding those situated next to the laundry, pool or above the bar. I always do my best to adjust to time zones immediately, which sometimes might require a polar bear swim to stay awake or a glass of bubbly to relax. With 2017 the year S and I are getting married, I am going to be doing quite a bit of traveling. We have a wedding to attend in Michigan, a few summer weekend local getaways to relax mid wedding planning, our own wedding, and of course the honeymoon! 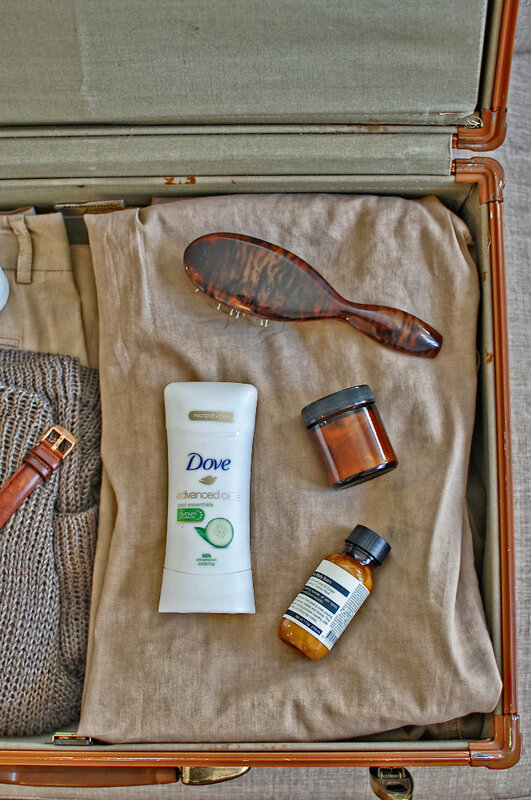 For each of these trips, I will absolutely be packing all of these beauty upgrades to make traveling a breeze! Thank you! Your article is full of great tips which I will remember for my travels. I appreciate your personal touch as well as information.